We have all been there: You’re in a financial pinch and need cash quickly. Sometimes thinking about qualifying for a loan may be overwhelming and seemingly impossible. Luckily, Tio Rico is here to help you get the money you need when you need it. Here a few things to think about before getting your bank loan approved. What Type of Loan Do You Prefer? Before you apply, take a moment to check out the various loan packages available. Whether you are looking for an auto loan, personal loan, or signature loan; evaluate which one would work best for your life. Once you find the one that seems like a good fit, set goals for paying back the loan as fast as possible. It is always a good idea to know your credit score and be aware of your credit history. It is never too late to evaluate your spending habits, correct any errors, and rebuild your credit. For obtaining a personal loan with Tio Rico, we look at your motor vehicle registration (with your name on it; used as equity). Even if your credit is less than perfect, we are willing to help. We can review your needs, and begin processing your loan within a half hour, so you can focus on the important things in your life. Once you find the loan you are most interested in, contact Tio Rico with any questions you may have. Whether you want to know what the requirements for loan eligibility are, what documents you may need, or timelines for the approval process; we can counsel you through the whole process. Our representatives are happy to answer all of your questions, so prepare a list of everything you want to ask. 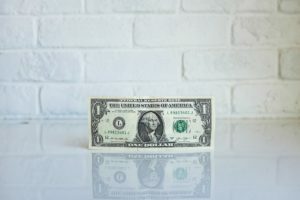 When it’s time to get a loan, these easy tips will help you figure out the best ways to apply for a personal title loan in Arizona and New Mexico. When it comes to obtaining any financing, make sure you talk to a trusted lender who will walk you through all of the specifics and help you make a decision you’re comfortable with.